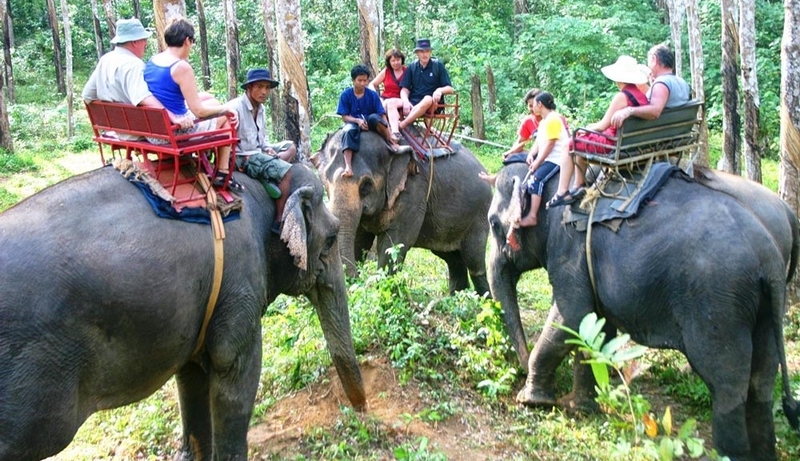 Nosey Parkers elephant camp established in 1999 is a 7km car ride from Ao Nang Beach. The camp is located in a shady forest area with abundant of water for the animals to enjoy all year round. 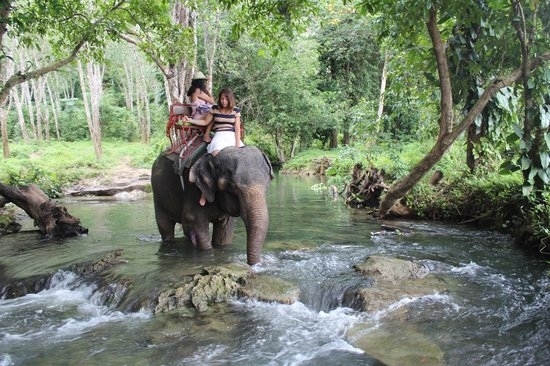 Your elephant trek will take you across the river that runs through the camp and into the forest. While walking through the forest you will see and hear the surrounding wildlife. Nosey parkers is a well run operation and the owner takes good care of each of his elephants. The elephants eat an enormous amount, on average each one eating $500.00 us dollars a month and $500 buys an unbelievable amount of food in Thailand. When they are not eating, the elephants are well treated and have a lovely environment to live in. They are well accustomed to people and are very friendly to young children. If you are in a hurry you can take a 1 hour elephant ride. If you want to make a day of it you can take your time on the half day tour.